Already loved around the Valley for its amazing margaritas, Z’Tejas has created a new cocktail menu celebrating the flavors of the Southwest. The fresh drinks–margaritas, mules, Mexican martinis and the other sips–are all made-to-order, hand-shaken and use fresh fruit and citrus juices. 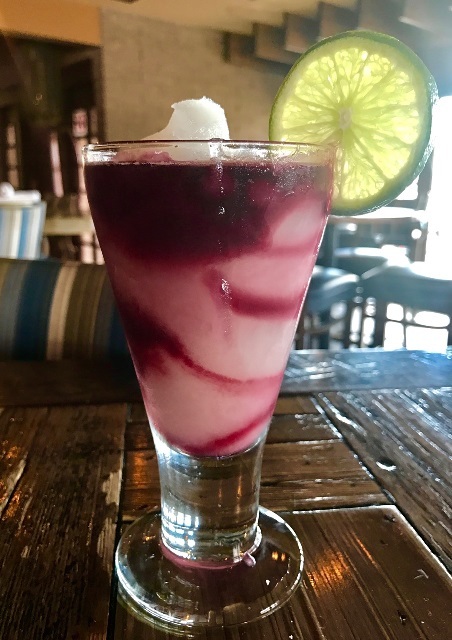 Additional new drinks include the Berry Peach Margarita, Grapefruit Jalapeno Mule, Cucumber Lime Mule, Clarita (frozen margarita with a swirl of Coppola Claret, pictured) and Frozen Sangria.